A wedding is arguably one of the most significant events in your life. As such, you should do everything you can to make it the most memorable time. There are definitely many parts to a wedding and the reception is not any lesser; in fact, it can either make or break the whole ceremony. The thought of a wedding reception sends different signals to different people. Some of them think about the food while others about the ambiance and the entertainment and so forth. All these people are right in their own ways. After all, it takes every wedding component to make the whole event a success. 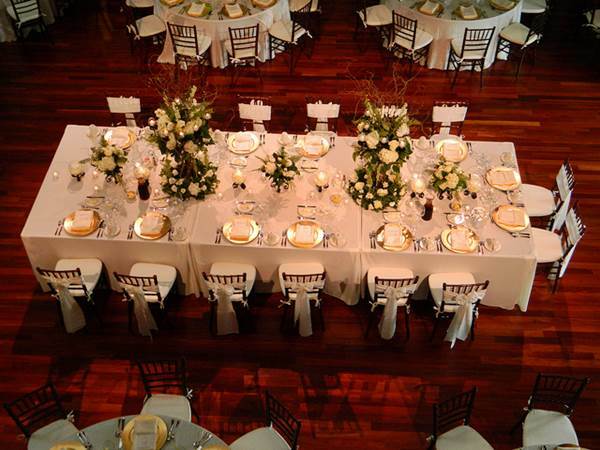 Wedding venues can have a tremendous impact in the outcome of your wedding reception. Therefore you need to choose your venue wisely after considering all the events that will run on the wedding day. Below are some tips that can make your reception menu an occasion to be remembered by all the guests present. Seasonality is a very important concept when choosing your wedding reception theme. Your guests will expect the recipe to be based on the season you are in. 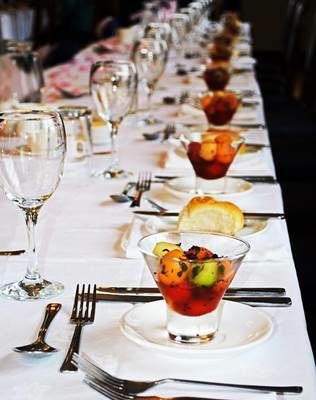 To give them an out-of-the-blue surprise, you can pick a mouth watering summer menu when you are having your wedding in early spring. This will not only make them long for summer but it will also add a memorable twist to it. Do your research well in advance and pick the unique tingling flavors that will get everyone taking about the season to come. Adding ice cream, creamy truffles and crunchy cookies may not be a bad idea after all. 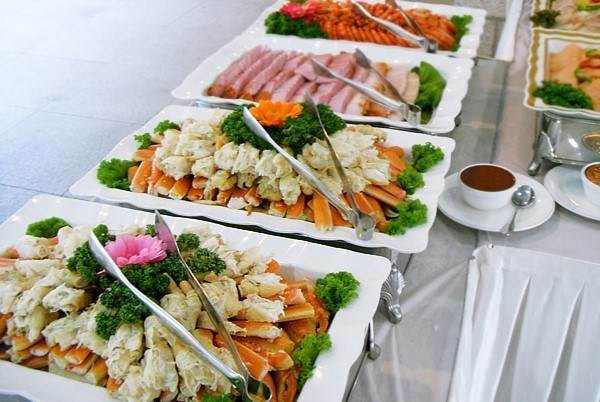 Having a variety of foods and snacks on your wedding reception guest tables is an excellent approach. 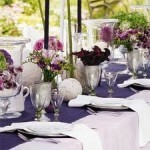 The first thing is that such an arrangement will ensure the preferences of most of the guests are covered. Secondly, it will create some sort of adventure with people sampling various dishes and delicacies. It may sound a little bit harsh but to be honest, most of the guests may not really care much about what goes around other than the food served. Going regional can be a great option when selecting food varieties. 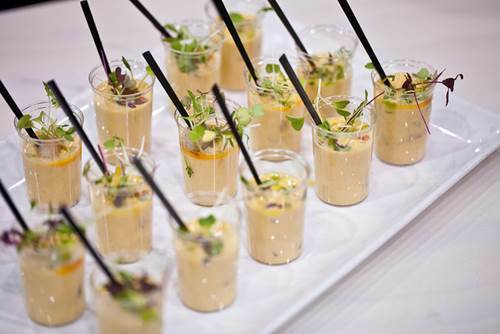 You can turn the entire wedding reception into a culinary vacation featuring foods from different localities. Trends tell you something about the wedding reception themes that are in fashion. Picking a menu that rides well with the trend will create a lasting memory. Imagine settling for a mashed potato bar with spuds and toppings well presented in a martini glass. Alternatively, you can do pomme frittes served with mayonnaise in paper cones for a Belgian treat. However, you need to be careful when planning for a wedding reception a year or more before the actual date. Before you pick a certain trend for your reception theme, you should study its life cycle. This will tell you for how long the trend will run. Memory involves the five senses. Anything that pleases the eyes is likely to have an impact on your memory. The presentation of the food is as important as the food itself. A fabulous looking buffet arrangement will have everyone talking long after the wedding is done. Creativity needs to be at its best both in food preparation and service. For instance, you can decide to serve your soup in a hollowed-out acorn squash instead of a bowl. Try to be as natural as possible. Your guests would love the country side twist if you serve coconut shrimp inside a nicely curved coconut shell and garnished with a tropical flower. While thinking about the entire presentation, do not also forget that simple foods can make hearts merry. Wedding reception menus are not all about the tastiness of the food. Take for instance a display where the food is prepared by professional sushi chefs as the guests watch. This will be more entertaining and fun just to look at. The slicing and dicing of the ingredients, together with the rolling of steaks, can create a permanent etch in your memory, and that of the audience, which will last longer than that of the food itself. What about French chefs in aprons and hats preparing an out of this world Haute Cuisine! This can be absolutely breathtaking. Finally, choose whichever menu you want but enjoy your special day to the full. 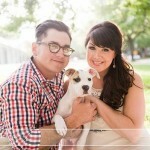 Brenda Panin is a full time mom of two beautiful boys and a great wedding lover. She is currently working on a project for North Lakes Resort Golf Club. Brenda enjoys seeing her readers getting useful information from her articles.